In mid-2015 my entire world came crashing down. Everything I understood about life and my purpose on this journey was shattered in an instant. Thankfully most of us have an extraordinary ability to adapt and rebuild. To salvage some strength from adversity. To find happiness from deep sorrow. A remarkable study by Harvard psychologist Dan Gilbert demonstrates precisely this. Our ability to feign happiness and trick our minds into becoming happy once again is a built-in human trait. It’s how many prisoners are able to cope with prolonged incarceration. It probably explains how those with little property or prospects can lead normal fulfilling lives. And it’s how most of us are able to dust ourselves off and move on in life if we don’t get that job we wanted or if an important relationship breaks down. So I’m able to share this story thanks to my genetics – our shared genetics – and the fact that I have managed to rebuild my shattered world. As a former City Councillor and parliamentary candidate it’s fair to say politics has always been a big part of my life. I was one of those weird 90s teenagers who always preferred Newsnight over Neighbours and Channel 4 News over Changing Rooms. My passion for politics began at an early age. Indeed it is part of my own family history. I am the son and grandson of Ugandan Asian refugees who arrived in the UK with nothing following the 1972 expulsion ordered by Idi Amin. This was a major political event, an African holocaust in the making. Thanks to the intervention of the British government – and the compassion of the British people – thousands of lives were saved, including those of my family. My parents and grandparents chose to settle in Leicester and I was born and raised on the St Matthew’s council estate. Life was incredibly tough for all of us and we experienced great hardship. As my father struggled to find work and provide for his young family, food was often scarce and new clothes were always a luxury. Luckily, although my upbringing was extremely poor, my family was able to survive – and later thrive – thanks in part to our welfare state. We had a home thanks to the Council. Health care was free and easily accessible. And I had free school meals for much of my early education. My grandparents were a big part of our family life and I frequently sat on the sofa with both of my grandfathers to watch the news whenever it was on. My maternal grandfather in particular was an avid news watcher. He would always explain to me the nature and relevance of world events. As I grew up I began to understand more and more each day that we lived in an unjust world. I saw there were countless other families and children in Britain and elsewhere who were also suffering disadvantage and discrimination. Looking back I think it was at the age of around 8 or 9 where, having experienced injustice – both first hand and vicariously – that a seed was planted in my head; not only that politics was really important, but that the decisions made by powerful people could affect many lives. I was incredibly lucky to be taught by some very kind and compassionate teachers and several of them clearly saw something in me that I was unaware of. At age 12 I was encouraged to get involved in student politics at Babington Community College, representing my class and later my year group, on the student forum. Later at Regent College when I was 16 another teacher prompted me to stand in the NUS elections and I was elected Vice President of the student body. Over the following 10 years my passion for politics and my desire to help people, particularly those who were being badly treated, continued to grow. I went to Brunel University in London to study politics and history. I became an active member of the Labour Party. And after finishing law school in Leicester I qualified as a defence solicitor, working primarily on Legal Aid cases, helping some of the poorest people in society to have access to justice. 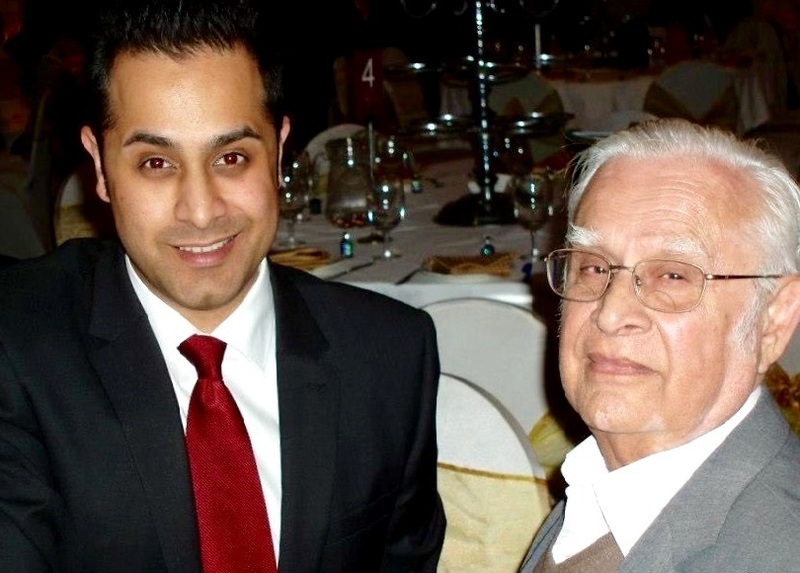 All the while I would share my achievements and happy milestones with my family, but particularly with my grandfather; the man who kick-started my interest in politics – and the only person who really enjoyed watching Question Time as much as I did. 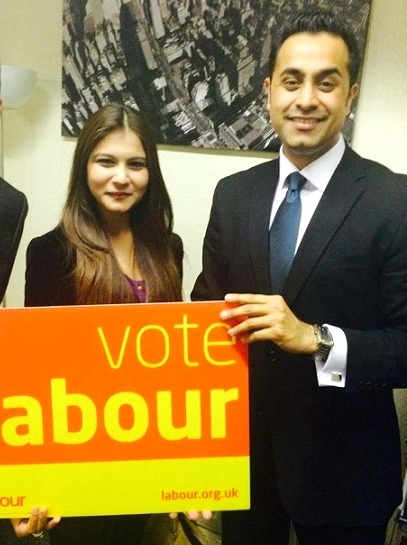 In 2011 at the age of 29 I was elected as the youngest Councillor in the city of Leicester. It was an incredible feeling to have been chosen to represent my local community on the Council. It just so happened that I was also the first non-white politician ever to be elected – at any level – to represent Beaumont Leys, a predominantly white working class area of Leicester. But for me this wasn’t particularly noteworthy at the time. 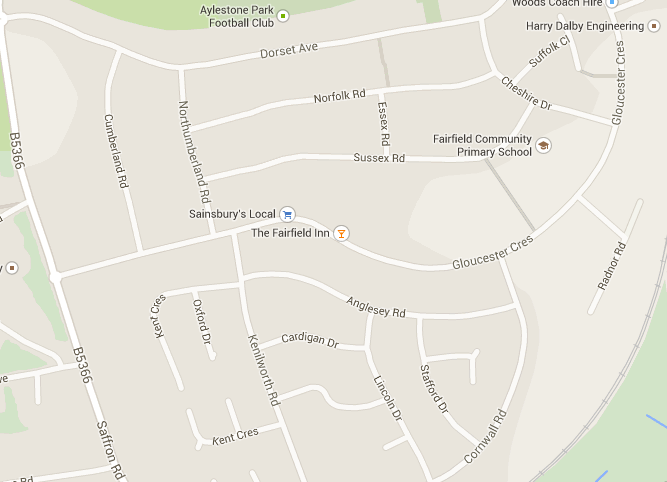 It was the area I had grown up in and gone to school. White working class people were my community and it was now my job to fight for their interests. Over the course of my 4-year term I worked incredibly hard – along with my Labour colleagues – to resolve disputes, champion causes, save jobs, and make a positive difference. By my early 30s it seemed a logical next step to seek a prominent political role, and try to continue putting my beliefs and values into practice, working to help people and challenge injustice. 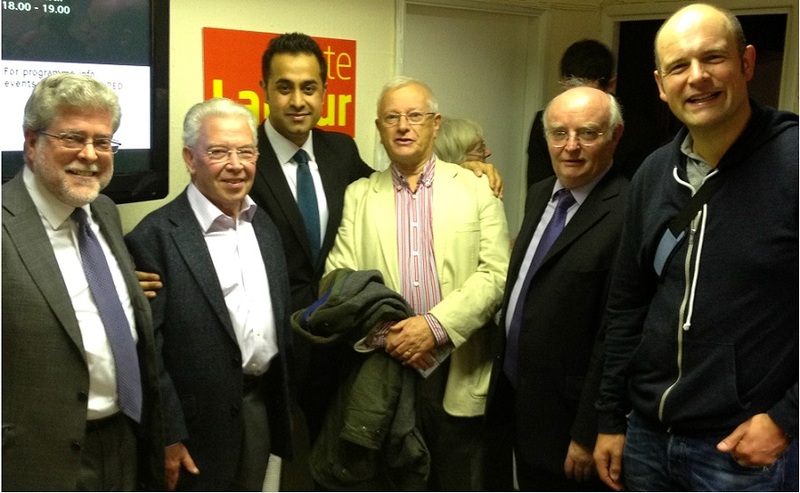 In August 2014 I was selected as a parliamentary candidate for the Harborough constituency in Leicestershire. I was set to stand for a national political party in a UK general election. It was a surreal moment, but something that many friends and family members had been predicting ever since I was a teenager. Of course in reality the prospect of me becoming an MP in 2015 was very slim. The constituency was considered to be a very safe seat for the incumbent Conservative Party. But I persisted and from January 2015 right through to early May we ran the most exciting and enjoyable election campaign the constituency had seen in decades. A relatively dormant local party was enthused and revitalised. My team and I attended public demonstrations and campaign events. I took part in hustings and debates at the secular society, a Hindu community forum, the chamber of commerce and the National Farmers Union. For the first time in years we ran Council candidates on every ballot paper and in every ward. And I took dozens of local activists out to campaign with me in some of the most marginal constituencies across the East Midlands, helping many of my party’s candidates in the key winnable seats. Whenever I had a few spare hours I’d pop over to see my grandfather to update him on the latest campaign event and opinion polls and generally put the world to rights. We even sat together on his couch and watched the Leaders’ Question Time debates on Thursday 30 April 2015. Sadly it was to be the last time I’d see him alive. On Wednesday 6 May 2015, the day before the general election, we received a distressed phone call from one of my aunties. She said my grandfather was unwell and told my parents to get over to the house. I was upstairs on the computer and oblivious to what was going on. A frantic phone call from my father 20 minutes later spurred me into action and I began getting ready to head over to my grandfather’s house. It was one of those strange moments, which many people will have experienced, where an otherwise ordinary day becomes extra-ordinary. You experience time in slow motion, with heightened senses, and remember every little detail. Before I had the chance to put on my shoes another phone call confirmed the awful news. My grandfather had died. His heart had suddenly stopped working and he had collapsed at home. His name was Jayantilal Narsidas Dattani and he was 80 years old. I’ve always found it really strange how we experience the death of a loved one. It’s as if the whole world stops turning and nothing makes sense any more. It even sometimes makes us angry to see other people just carrying on with their normal lives, chatting away, laughing, behaving as if everything’s okay. Grief really is a complex emotion. The suddenness of my grandfather’s passing hit me like a tonne of bricks. Not just because I had lost someone whom I loved so dearly. But because this was the man who had inspired me to dedicate so much of my life to politics. It didn’t make sense for this to be happening the day before the General Election. We were supposed to be experiencing the election together. We were meant to discuss my result and consider the next steps. In the Hindu tradition, a death prompts the beginning of two weeks of prayer and rituals at the home of the deceased, with extended family coming together to support one another. On Election Day I was away from my campaign team and the constituency. I spent the day covering my grandfather’s lounge floor with sheets, and helping to rearrange the furniture, to prepare for the many inevitable visitors coming to pay their respects. Soon after 10pm once the polls had closed, I forced myself to shave and put on a suit, and made my way over to the result counting venue – a dreary leisure centre in the middle of nowhere; a typically British democratic custom. During that election count – as night turned to day – I experienced a rollercoaster of emotions, not least because of the many surprising results from around the country. On a personal level I was blown away by the kindness and compassion shown to me by my political adversaries, including the incumbent Member of Parliament, who would go on to be re-elected. 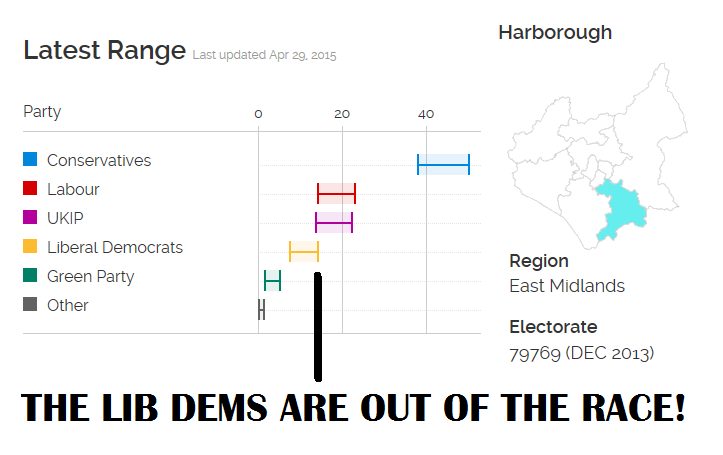 Unfortunately Harborough was the last constituency in the entire East Midlands to declare its result. We were up all night and I gave my concession speech at around 9.30am on Friday morning. We managed to come in second overall, and it was the best result for my party locally since the 1979 election, which was before I was even born. I didn’t immediately know it at the time, but the events of those two days – the sudden bereavement and the exhaustion of election night – had a monumental impact on my life. In the short term I experienced a crisis with my mental health. I was signed-off from work for several weeks with bereavement-related stress. Up until that point I had never experienced any problem with my mental health and, if truth be told, I never really used to believe that a mental health problem could be as debilitating as a physical health problem. This was the first of my epiphanies. In the longer term my entire life was completely changed by those catastrophic 48-hours. My whole world was knocked off its axis, causing me to re-evaluate everything, not just in my own life but philosophically as well. It prompted me to engage on a journey of discovery. To try to make sense of life and our purpose here on Earth. To learn more about humanity. And to understand our place in the known universe. Most importantly of all I learnt to truly value family bonds and friendships much more than my career and ambition. In this new age of social media, with constant global news coverage and information overload, I have come to realise that our most meaningful relationships – with the people we care deeply about – are the best way to stay grounded, to be happy. And to find the strength and resolve we need to work hard and make this a better world. Over the last 9 months, together with my team of Labour council candidates, I have been speaking with people in Oadby, Wigston, Fleckney, Great Glen, Kibworth, North Kilworth, Market Harborough, and many other parts of our great constituency. I have attended four separate hustings, including the Leicester Secular Society debate featured in the video above, and I have participated in several house meetings organised by local residents. I have visited schools, sports clubs, businesses and places of worship, and I have been listening to the concerns of local residents, and the difficulties that people are being forced to endure. Throughout the campaign I have noticed a distinct theme. Firstly many people in Harborough, Oadby and Wigston are feeling the effects of rising food and energy prices as their salaries stagnate. Moreover, hundreds of local people are experiencing problems as a direct result of the current Tory government’s failures on the NHS, jobs, housing and welfare. This includes raising the minimum wage to £8 per hour, banning exploitative zero hours contracts, and abolishing the bedroom tax. It also includes freezing energy prices for two years and freezing rail prices for at least one year, bringing in rent controls to make housing affordable, extending free childcare to 25 hours, and protecting state pensions whilst capping pension fees and charges. For young people betrayed by the Liberal Democrats – who had pledged not to raise tuition fees and then trebled them – Labour will cut tuition fees by a third. We also want to lower the voting age to 16, reform the House of Lords, increase pay transparency to end the gender pay gap, and freeze business rates for SMEs. In terms to our NHS we will guarantee GP appointments within 48 hours and have maximum wait times of 1 week for cancer tests and results. We also plan to recruit 8,000 more doctors and 20,000 more nurses, whilst integrating health and social care in order to help all people with their physical, mental and social care needs. Most importantly of all we want to reverse the part-privatisation of our NHS brought in by the Tory and Lib Dem coalition. So to all the wonderful people of Harborough, Oadby and Wigston, and everyone else reading this blog post, I ask you to please vote Labour on Thursday 7 May 2015. Your vote matters a great deal in this election, especially in our constituency where the Lib Dems are now trailing in 4th place, according to several respected media outlets. A vote for the Lib Dems will simply serve to let the Tories back in! Vote for Labour’s excellent policies and the principles for which we stand. Vote for a progressive government and a leader who is prepared to stand up to powerful interests. Vote for a better future for you, for your family and for Britain. For the first time in decades all residents in Oadby and Wigston will have the option to vote for a Labour candidate at the upcoming local Council elections. 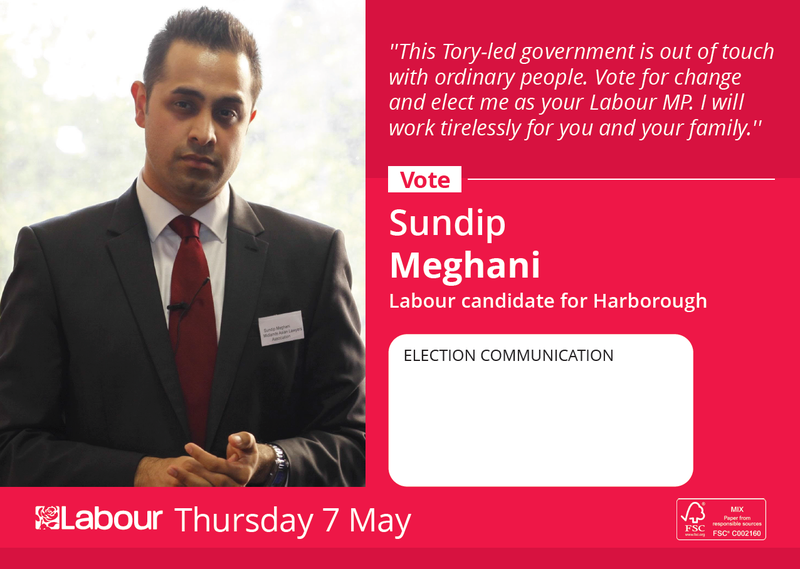 There will also be a Labour candidate in every ward of Market Harborough town. This is in marked contrast to the election in 2011, when there were just 4 Labour candidates standing in two Oadby and Wigston wards, and no Labour candidates in two out of four Market Harborough wards. 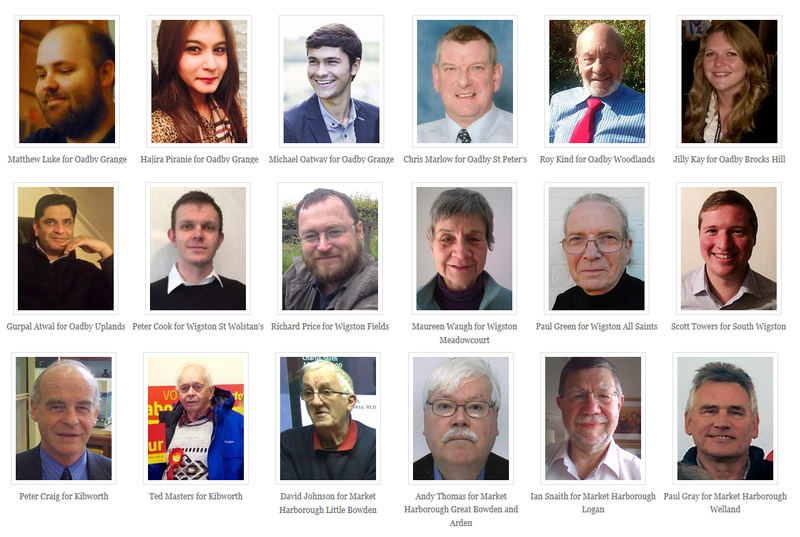 Labour are running three candidates in Oadby Grange and 9 individual candidates in all other Oadby and Wigston wards. There will also be several Labour candidates standing in Harborough district including all four wards of Market Harborough town. Over the next few months most people are going to be swamped with campaign slogans, manifestos, debates and broadcasts, leaflets, billboards and doorstep visits. But why do we go to the trouble of campaigning to seek political office? For my part it’s because I’m not prepared to settle for the ways things are, and I believe we have a duty to improve society, so everyone has the chance to reach their full potential. I also detest injustice with a passion. As the son of refugees, having grown up with hunger, poverty, discrimination and hopelessness, I know what it feels like to live in an unjust world. That’s why I’m disgusted with the current state of affairs where ordinary working people – as well as those who are young, disabled or less well off – are being made to pay for the worst excesses of the rich, the powerful and the greedy. I’m also dissatisfied with the lack of well paid jobs, the chronic shortage of affordable housing, and the deterioration of our public services, especially the NHS. For these reasons I’m standing for election to become the Labour MP for Harborough, Oadby and Wigston. It’s a huge challenge to undertake, but I’m immensely proud to be fighting for local people, and trying to make a difference. I’m also proud to be associated with the Labour Party. Ours is the party of social justice and solidarity; aspiration and achievement. We believe we can and should work hard to create a fairer, stronger and more prosperous society. We also believe that unless we consciously stand together and help each other get on in life, society will become more unequal, and in the long term this will damage our nation as a whole. In this election Labour has a range of excellent ideas and policies to get our country back on track, and to create new jobs, restore a sense of fairness, and improve our NHS. But to get things done we’ll have to convince people to vote for change. Now obviously my opinion is biased as I want everyone to cast their ballots for Labour. But to paraphrase Plato: when we refuse to get involved in politics we end up being governed by our inferiors. Whatever your view of our political system – or indeed politicians – I hope you exercise your right to vote on polling day. Don’t leave it to someone else to decide what happens to yours and your family’s future. As Labour’s parliamentary candidate for Harborough, Oadby and Wigston I have been working closely with local Labour activists, to fight for residents and businesses in Wigston, who feel let down and ignored. On 19 September 2014 I attended a house meeting with 20 residents in Wigston, which had been organised by the South Wigston Action Group. Local people told me their concerns about the excessive amount of speeding traffic on Saffron Road, Dorset Avenue and Gloucester Crescent, which is putting lives at risk. 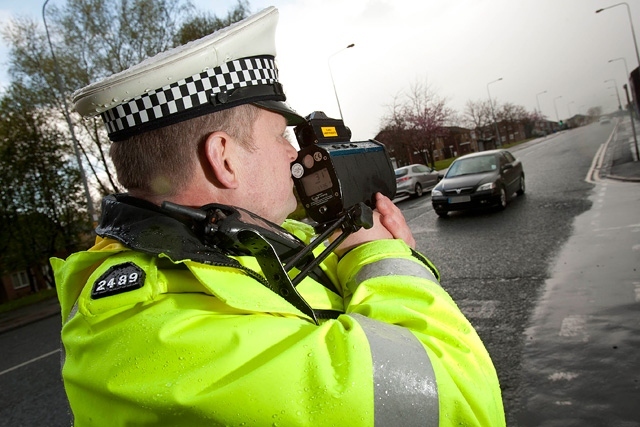 On behalf of residents I have formally raised a complaint with the police and arranged for speed safety checks to be carried out. On 22 October 2014 I wrote to Lib Dem controlled Oadby and Wigston Borough Council, requesting an urgent investigation, with a view to installing traffic calming measures on all of the above mentioned roads. Please click here to view my letter on traffic calming measures in Wigston. My Labour team and I have also been liaising with the South Wigston Chamber of Commerce in regards to their upcoming ‘Christmas Capers’ event. The event is a trade fair and community fun day and has been running since 2002. Last year more than 4,000 people attended the event, giving a much needed shot in the arm to local businesses. Sadly, despite their best efforts, the Chamber has been unable to secure the temporary closure of Blaby Road in Wigston on 6 December 2014. They desperately need this road to be closed off in order to run a safe and successful event. On behalf of local traders and businesses in Wigston, I wrote to Lib Dem controlled Oadby and Wigston Borough Council on 22 October 2014, calling for Blaby Road to be closed to traffic for the duration of 6 December 2014. I have asked the Council Leader to put the interests of Wigston businesses ahead of the Arriva bus company, which has been refusing to partially divert its busses away from Blaby Road, on the day in question. 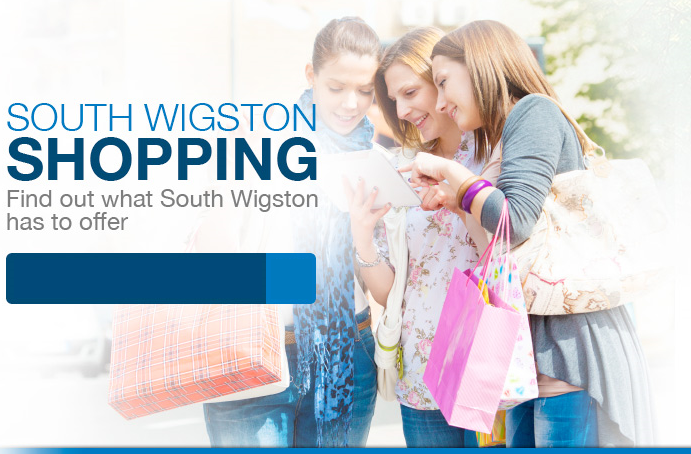 Please click here to view my letter in support of local businesses in Wigston. 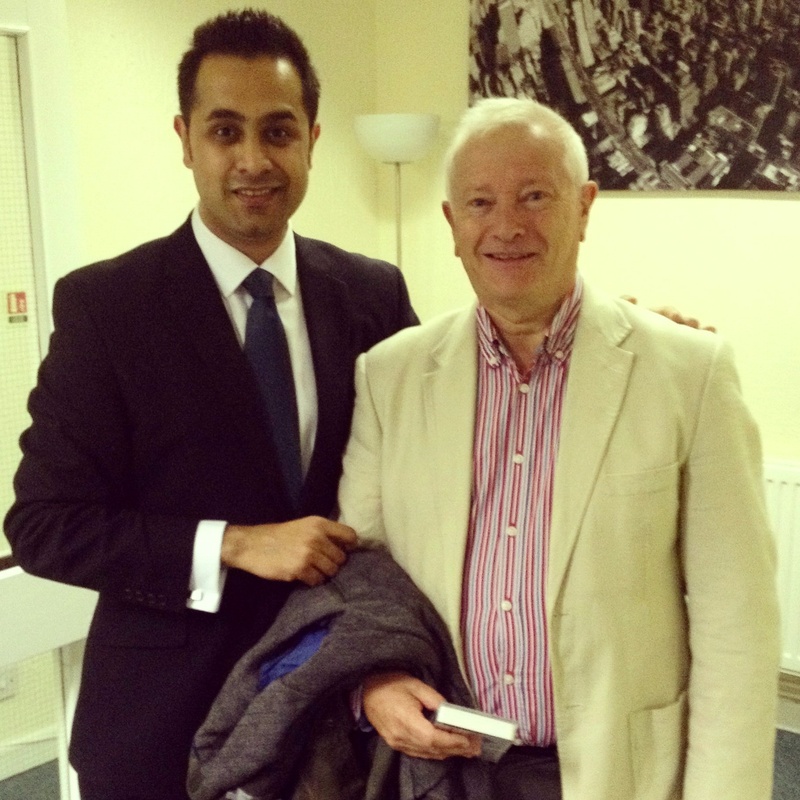 The Labour Party in Wigston strongly supports local residents and businesses on these issues. We feel lives are being put at risk on the above mentioned roads because local agencies are failing to take the matter seriously. We also passionately support the South Wigston Chamber of Commerce who are simply trying to put on another successful event, which widely benefits businesses and residents living in Wigston. It is time local Lib Dems and Tories start to put residents and businesses first. I sincerely hope they will listen to the concerns we have raised. 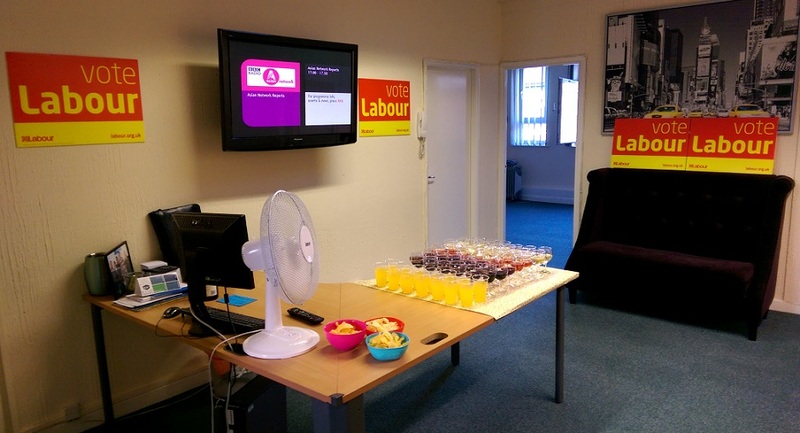 My friends and I at the Harborough Constituency Labour Party were delighted to launch our general and local election campaigns on Friday 10 October 2014. 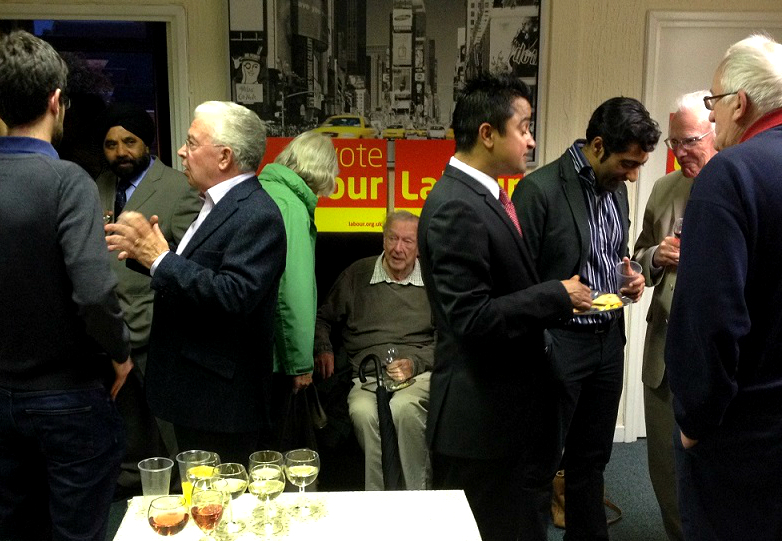 We had more than 60 guests attend our campaign launch party in central Oadby, including several Leicester Labour Councillors, the Rt. 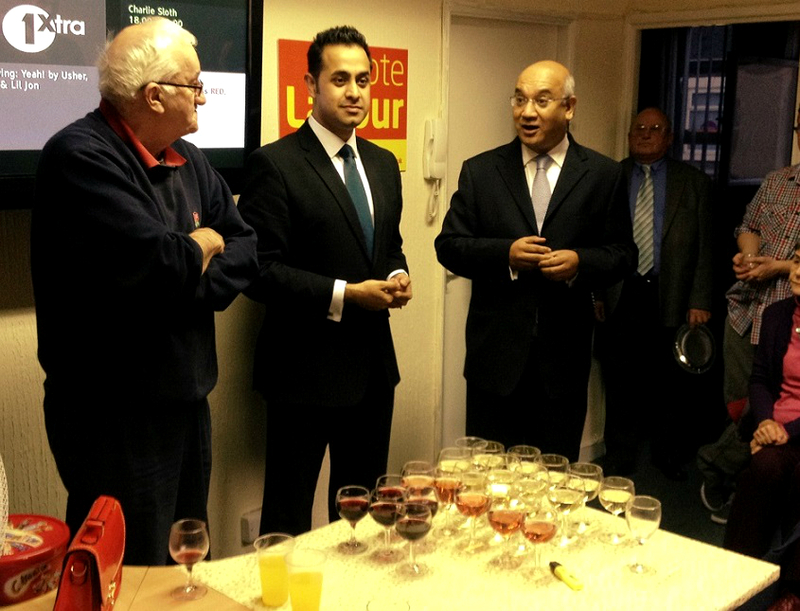 Hon Keith Vaz MP, and Lord Willy Bach of Lutterworth. Best of all we had dozens of our superstar Labour activists join us on the night! 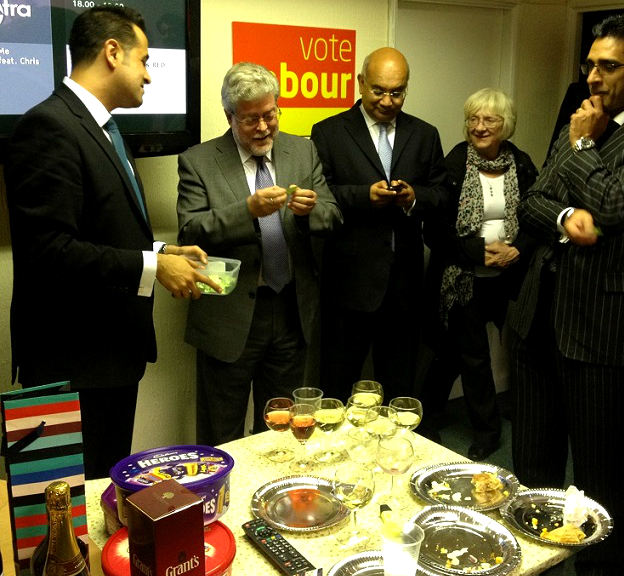 Our guests enjoyed sandwiches, cakes, drinks, and delicious homemade samosas. We raised a good amount of money in the raffle, with many friends winning bottles of wine, boxes of chocolates, and gift vouchers. Thanks to Chris Marlow, Rahima Dakri, Terry Howatt, Cllr Neil Clayton, Cllr Lynn Moore, and everyone else who donated prizes. Our Chair David Johnson welcomed people to our event. Cllr Rory Palmer, Leicester Deputy City Mayor, gave an impassioned speech on taking the fight to the Tories and Lib Dems. Keith Vaz MP spoke eloquently about the need to work hard, and chip away at the Tory and Lib Dem vote, especially as the incumbent parties have so badly let local people down. 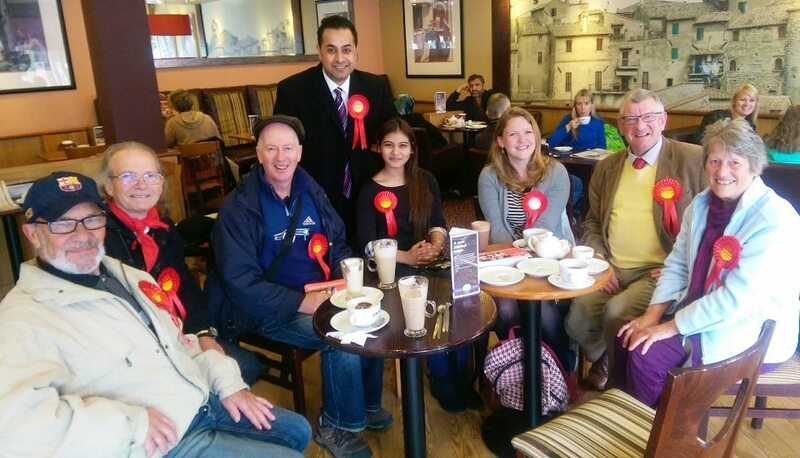 I’m glad to say our local Labour activists are already working hard on the ground in Harborough, Oadby and Wigston. In recent months we have been out knocking on doors and speaking with people across the constituency. 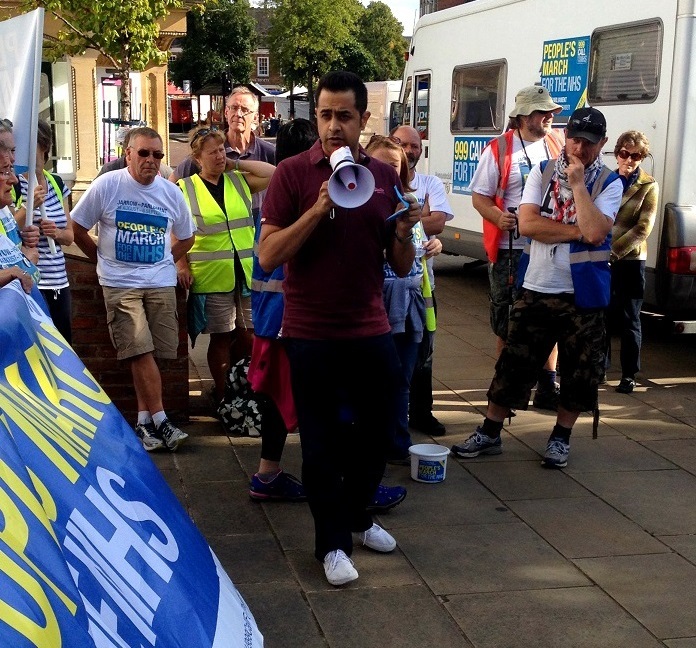 Earlier this summer we welcomed the NHS People’s March to Market Harborough. We have also been out campaigning in Corby and we’ll be visiting other marginal seats in the coming months. As I said in my speech, it is our party which stands for the politics of hope, against the politics of fear. It is the Labour Party which stands for the politics of unity against the politics of division. It’s up to us to offer a better future and a different direction for our country. It’s up to us to do what we can to protect and empower our fellow citizens, not because it’s easy, but because it’s the right thing to do. Labour activists in Harborough, Oadby and Wigston are energised and eager to win. Our values are shared by thousands of people across our constituency. Local people know that only Labour has a plan to tackle Britain’s cost of living crisis. Only Labour will freeze energy prices, lift the minimum wage, boost jobs, apprenticeships and housing, and protect our NHS. We have the wind in our sails and we’re not going to let the Tories and Lib Dems continue getting away with letting local people down. We’re offering a fresh alternative and a different vision for our shared future. Here’s to the good people of Harborough, Oadby and Wigston and the exciting few months ahead. 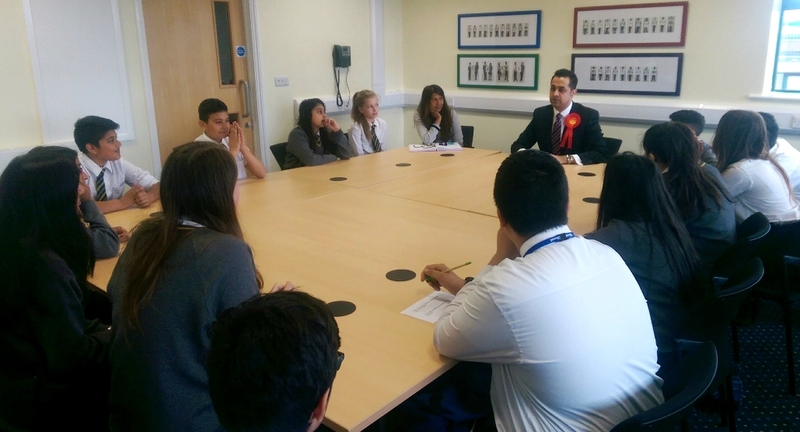 I was delighted to visit Gartree High School on Friday 26 September 2014. I had been invited by the Oadby and Wigston Hindu Community to join them in celebrating Navratri, a wonderful 9-day festival of dance which is important to many Hindus, Sikhs and Jains. It was a pleasure to meet and speak with hundreds of local residents enjoying the festivities. I talked about the meaning of Navratri and I congratulated the committee and the community for putting on such a successful event. I spoke about my parliamentary candidacy in 2015 and our local Labour candidates also standing for election in Oadby and Wigston. I got the sense that local residents are optimistic about the future and eager to see change. People want politicians who understand them and are prepared to stand up for their values and beliefs. After I spoke many people thanked me for visiting and some even congratulated me on the quality of my Gujarati! 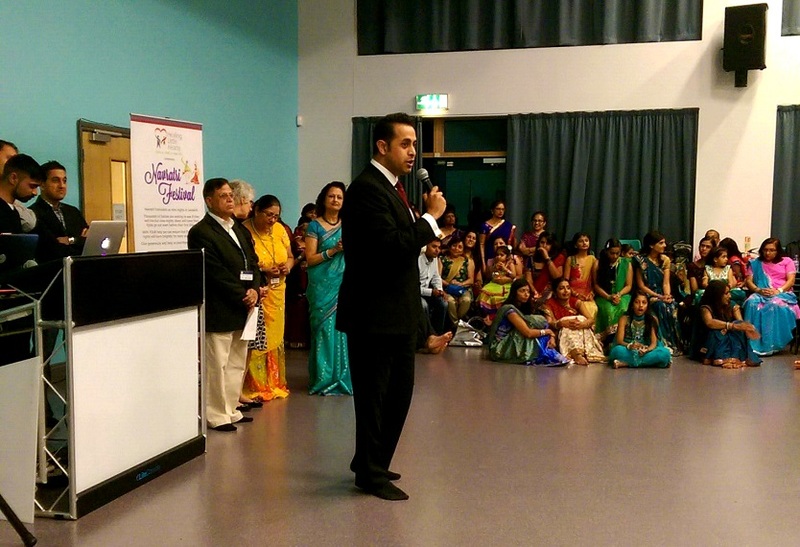 I was incredibly impressed to see the local Hindu community come together to organise events such as this, which are entirely self-funded and staffed by volunteers. 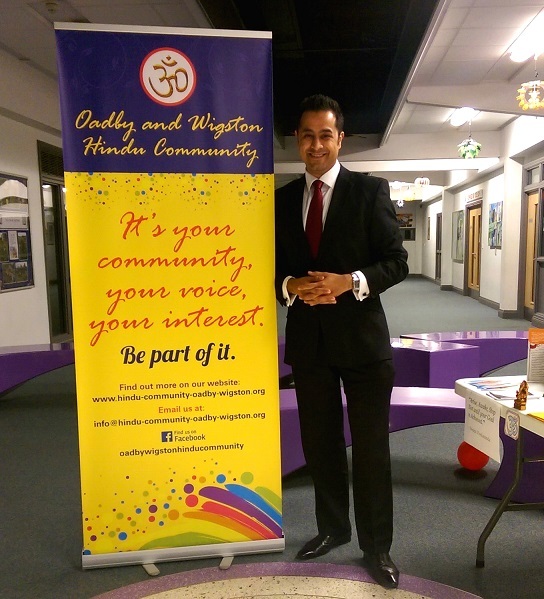 The Oadby and Wigston Hindu Community are doing brilliant work locally and I look forward to supporting them in the months and years ahead.